We had a bit of a cool start here in Alberta – lots of rain, temperatures that did not seem to want to go up. Usually I plant out the beans at the very beginning of May, but this year even that was delayed by a few weeks. As I write this now, we’re in the middle of an extreme heat warning issued by the weather service, but mercifully, that should only last a few days. 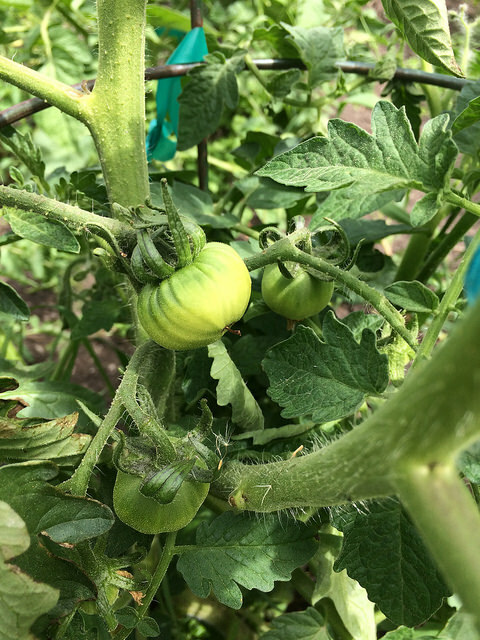 Mostly, the weather has been excellent, especially for the tomatoes, and after planting on Victoria Day long weekend, they shot up and I have many plants now already forming very lovely and healthy looking fruit. Of course with the cool wet spring, that brought weeds. TONS of weeds, so I’ve been battling the chickweed most of the summer thus far, just trying to keep it under control. I’ve had some problems with both my ‘Green Limelight’ and ‘Sunset Runner’ beans germinating – not a single plant came up. I suspected squirrels or magpies at the beginning, but after resowing and then protecting, still nothing came up. Sometimes gardening is like that – very rarely does everything work out exactly like you had planned. The first tomato to start flowering and setting fruit this year was ‘El Nano’, which surprised me quite a bit. I was fully expecting ‘Silvery Fir Tree’ to be the first. This variety did quite well for me on the west coast, so I was a little unsure as to how it would fair in a drier, hotter, and shorter climate. Turns out my worries were for nothing because it’s doing even better than it did for me before. 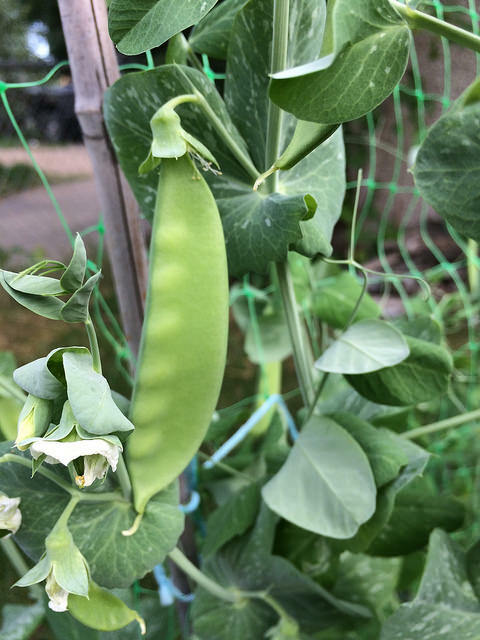 Slocan Snow Peas are doing quite well for me as well, which isn’t so much a surprise because my mom had grown them in the area before and I knew they had done well for her. 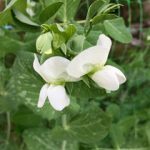 Within a week they had shot up, started flowering, and now producing delicious, lovely fresh snap peas (which we’ve already been snacking on). I’ll be sending a healthy amount of these seeds to the Seeds of Diversity seed library. They need a rather large helping to help ensure they’re preserved and quantity is made available to more people, and if past years are any indication, I should have a good amount come harvest time to send them. 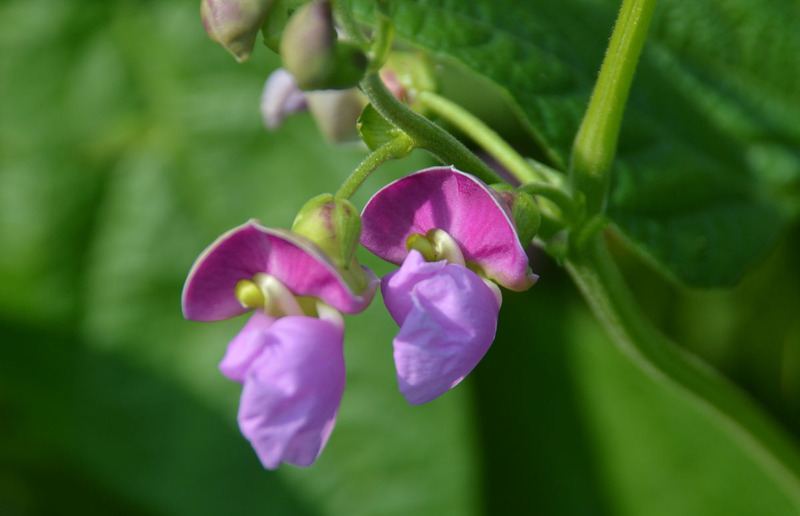 The next few weeks should prove to be very active in the garden – the beans are on the verge of flowering & fruiting and more and more tomatoes are setting fruit. This is the best time in the garden – I don’t have to fear the oncoming frost, but harvest is just around the corner. Stay tuned for more updates coming along in the following weeks. Also stay tuned for the newest seeds for distribution to be released this year. I’m running a bit late – spring and the beginning of summer proved to be quite busy, but they’re coming soon, and it’ll be announced on the mailing list when that list goes live – you can be the first to know by joining using the form to your left.